Drawn And Quarterly have recently released a great new graphic novel written and drawn by Chicago’s very own, Nick Drnaso. According to the Chicago Tribune, Nick’s novel ‘delivers a vivid panorama of the muddled minds and misanthropic deeds of those who choose to fall under a conspiracy theory’s thrall’. Want to know more? Then please check out the following interview I did with the man himself. 1) Please tell us a little bit about yourself, Nick. I live in Chicago, I grew up in the southwest suburbs, and I currently live in an apartment with three cats and my girlfriend who I’m going to marry in June. Right now I'm fortunate enough to be able to work on my comic books, although I do sometimes work at a button company to get by. 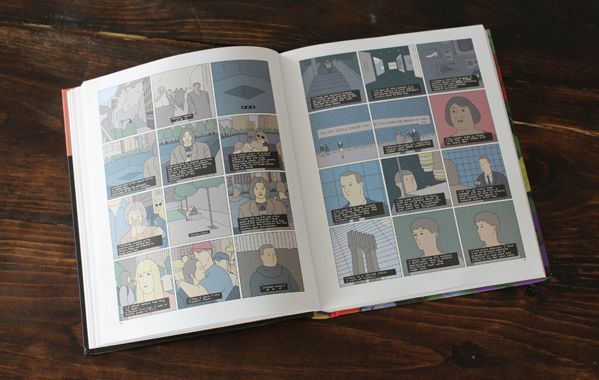 2) What inspired you to create, ‘Sabrina’? Some time ago I was having these paranoid nightmares about me being abducted. So much so, that it made me increasingly fearful of the outside world, to the point where I was hesitant to do much of anything. It just seemed to be all I could focus on, unfortunately, so a fictional story based on some of these feelings seemed kind of natural. 3) In your own words, how would you describe this story? It's primarily about a man and a woman who lost someone close to them, as well as a secondary character who by a flimsy association is targeted in an online conspiracy. Maybe that description paints the wrong picture, though, as I think it's a pretty quiet story about the dull suffering and uncertainty surrounding a tragedy, yet I may be totally wrong. There’s a lot of coldness and cruelty in the story too, and I have been asked if my overall view of humanity is pessimistic. Usually, I answer 'no,' but sometimes it's hard. Sorry, I know that I didn't answer your question fully. It’s just that sometimes it’s easier to describe the feelings behind a book rather than giving a straightforward synopsis. 4) What song would you say best represents this piece and why? I have no idea because I feel kind of funny attaching a musician's work to something I've created. That said, I did listen to music quite regularly when I was working on the book, music by such people as: Mary Margaret O'Hara, Phyllis Dillon, John Coltrane, Saint Etienne, Washington Phillips, a band called Bohren & Der Club of Gore, and a lot of stuff put out by Numero Group, which is a music label based here in Chicago. 5) If you could get a celebrity – either living or dead – to promote your wares, who would you choose, and why would you want to choose this particular person? Yikes. I get sort of uptight and embarrassed when someone praises my comics, almost as if there’s a gnawing feeling of unworthiness that makes it hard for me to absorb the compliment. As a matter of fact, if I was able to resurrect someone, the last thing I would ever want to do would be to give them one of my books. 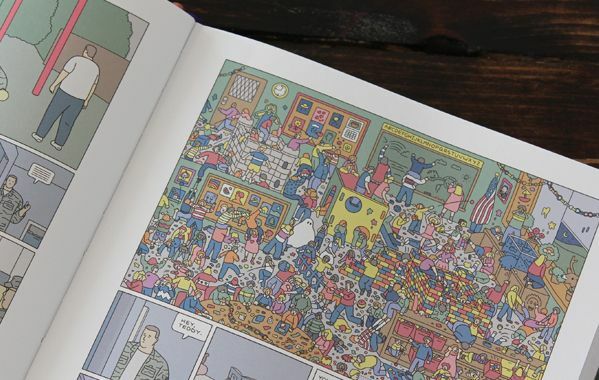 I mean, I adore the writing of people like Zadie Smith and Chris Ware, and it's difficult to accept that they've liked something I've done. 6) During your time in this field, what is the one thing that has kept you in good stead? That would certainly have to be my relationship with my wife-to-be, Sarah. She's just a very inspiring person to live with and be around. We're always sharing books and ephemera, going to antique malls, and, I don't know, the usual things couples normally do. I don't think about the broader world of comics and publishing very much, at least it feels removed from my life, although I've made a lot of great friends while drawing comics. 7) If ‘Sabrina’ had a motto, what would it be? The publisher and I talked about including some sort of 'tagline' on the back of the book, which is kind of a standard, but ultimately decided it was better not to put too much influence on the material in the book. Also, the quotes on the back did such a nice job of outlining the story that a tagline felt like overkill. Well, I guess that’s just my way of skirting around your question, which is really hard to answer, and even saying a question is hard to answer is kind of a glib cop-out, so I'm sorry about that. Hey! No worries, Nick. 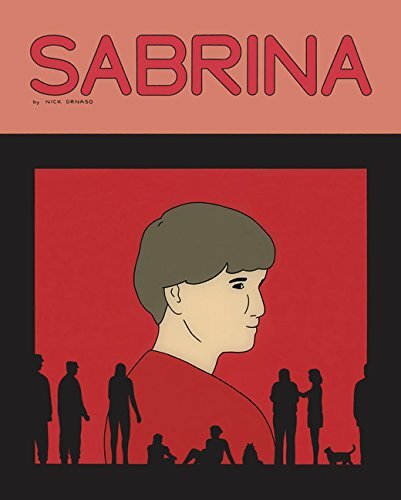 I’m just thankful that you told us about your new graphic novel, Sabrina, before encouraging you lot out there to pick up a copy either via Amazon or the Drawn And Quarterly online store. Go on, scram, and have a good time reading it.